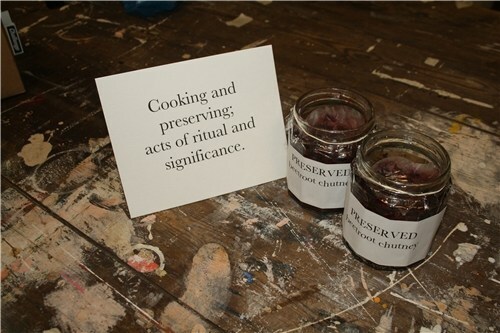 Preserving and cooking, acts of ritual and significance. 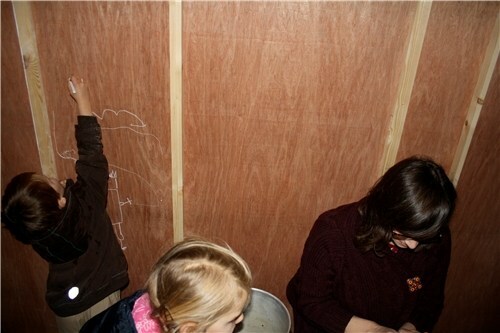 We built a space for cooking in the gallery. We made a Beetroot Chutney. 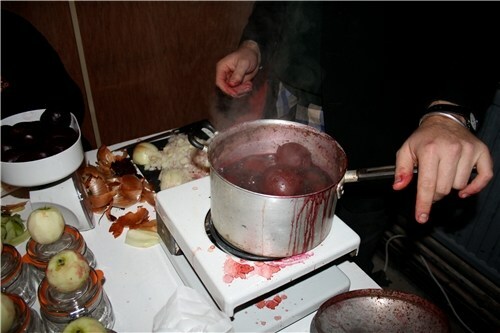 Within this small structure Beetroot was peeled, boiled and made into chutney with onions, sugar lemon juice and vinegar. A seasonal chutney for winter, which became a limited edition artwork which was for sale in the gallery. The idea of preserving and the action of working with food is a familiar and recurring theme in my work. 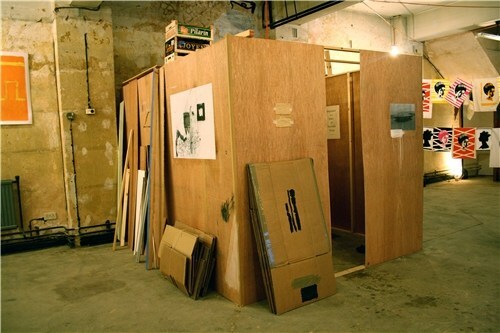 The structure's sculptural quality was representative of a space which changed throughout the evening, it could be drawn or spilt on, becoming a three dimensional drawing, extending its use from a shelter to a surface. People crowded in and participated in the preparing of the chutney, talked and socialised, it became a hub within the larger gallery space. Fourteen jars of Chutney were produced which became limited edition artworks and a record of the activity that took place in the gallery. 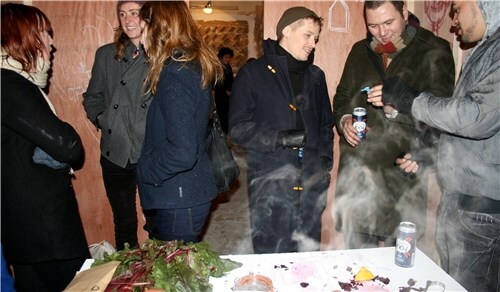 Cooking Cabin was part of a group exhibition curted by Katherine Clewett at Elysium Gallery in 2010.